Do you know that you can redirect a domestic shipment that has not yet been delivered or released for delivery? With USPS Package Intercept, you can raise a request for the mailpiece to be sent back to you or redirected before final delivery happens to the original address. Get to know about another fine service of USPS, called USPS Package Intercept. 1 What is USPS Package Intercept? 2 How does USPS Package Intercept work? 3 How to Intercept a Package? What is USPS Package Intercept? USPS Package Intercept is a way to redirect a domestic shipment that the user has not got it delivered or it is not released for the delivery. This service is possible for the parcels, letters, and flats with a tracking or extra services barcode. The users can also stop their mail and parcels and Hold package at the post office or send them to a different destination address. They can also pick up the package from USPS. Most of the customers got their answer about the same because we found lots of customers asking can you pick up packages from USPS? 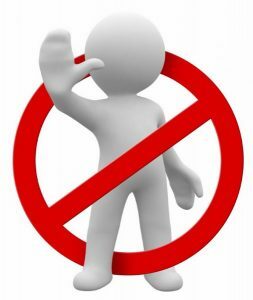 The users can also raise a request to redirect them as Priority Mail to be sent back to you. USPS Package Intercept requests are open for 10 days from the day you raise the request. The USPS Intercept fees can be found on Notice 123, Price list. With USPS Package Intercept fee, you will also have to pay the applicable postage and extra fees may apply for redirecting the mail to a new location or to return to the sender. Send back to the sender. USPS Hold For Pickup at a Post Office location of the sender’s or the mailer’s choice, where you can pick up USPS package before delivery. How does USPS Package Intercept work? You are expected to pay $13.45 as Package Intercept fee for all the intercepted shipments. The business customers who often buy the postage online can also request for the Package Intercept online. As you submit the request for the Package Intercept, the mailpiece is renamed as a Priority Mail mailpiece. The post office will update you with the changed price which will depend on the factors like the dimensions, weight, and zone of the package. Also note that you are not expected to pay anything to return a Priority Mail Express, Priority Mail or First-Class Mail or package to the sender. If you want to avail the facility of the Package Intercept service, your package should not measure more than 108 inches in length and girth. The buyers can also buy some other add-on services for their intercepted package. Some additional services include Insurance, Adult Signature Required, and Signature Confirmation. The Registered Mail packages that are intercepted must be returned to the original sender only. How to Intercept a Package? With this service, you can redirect the mail items or packages to the sender or a completely new address. Your local Post Office can also hold the packages for USPS pickup. You don’t need to be confused with USPS Schedule a Pickup with this. You can read about that by CLICKING HERE. The first thing you need to be sure of is that your shipment is eligible for the Package Intercept. If the answer is yes, you can proceed to raise your request online as you sign in with your USPS.com account. After you are done raising your request, you will get an estimated total or the estimated postage plus intercept fee. USPS will then try to intercept and redirect your shipment. If USPS intercepts your package successfully, your credit card will be charged with $12.95 as a fee along with the postage. However, if the actual postage is found greater than the estimated postage, then you will have to pay the additional postage. Automated customer notification on the status of the service request is also available via email. Package Intercept history will report via the application or the customer extract file using the Product Tracking System. You must be a registered BCG user. You must apply a permit imprint link to a valid CAPS debit or trust account to the Customer Registration ID (CRID) for the business location. You must have access to the Manage Mailing Activity and be assigned a Mailer ID services on BCG. You must raise a request to access the USPS Package Intercept service via BCG. Every business location as recognized by a CRID is needed to have a USPS Package Intercept Business Service Administrator (BSA). Package Intercept BSA will manage and give access to this service to other users of the same CRID. It is a domestic service which is not available for international or APO/FPO/DPO destinations, or for items that need a customs form. The packages should not be more than 108 inches in length and girth combined. You cannot intercept the items that are supposed to be sent to a Commercial Mailing Receiving Agency or redirected to a PO Box. The customers will be charged only if the shipment is intercepted. In this case, the non-refundable Package Intercept fee is charged to each intercept request. You can get this facility only for the items with a USPS Tracking barcode or extra services barcode. All the packages that are intercepted are only redirected as Priority Mail. Hence, you will have to bear the applicable Priority Mail postage. If the item was originally sent using Priority Mail Express, Priority Mail, or First-Class Mail, then you don’t have to. You can use the Intercept service for all the domestic mail services but not for USPS Marketing Mail and Periodicals. The retail and commercial customers can also buy add-on services for the intercepted package, such as Adult Signature Required, Adult Signature Restricted Delivery, Signature Confirmation, and Insurance. 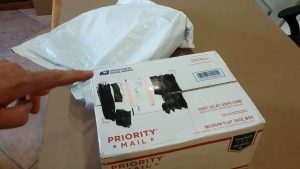 USPS Package Intercept cannot happen for non-mailable items or the items with surface-only transportation markings like Label 127, Surface Mail Only. The items that have a bearing of hazardous materials markings, such as Consumer Commodity ORM-D, then also it cannot happen. You can also add insurance and extra services with it. Package Intercept is not a guaranteed service. The Postal Service will try its best to find the mailpiece and redirect the same, but even the refunds are not available. 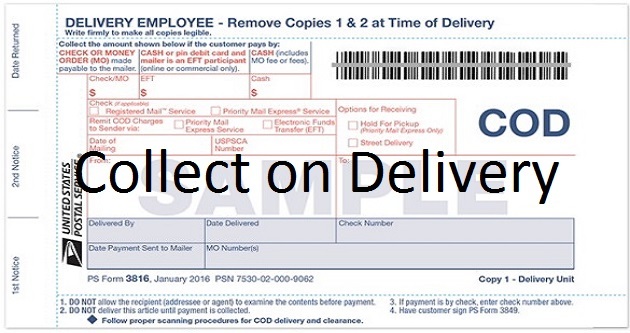 What is USPS Collect on Delivery (COD)? What is Adult Signature Required & Restricted Delivery?